We provide affordable and quick moving services, specifically tailored to your needs. Whether you are moving a one bedroom apartment in Beaverton, Oregon or relocating a 7,500 square foot manor in Lake Oswego to the other side of the Willamette River, you can trust us to get the job done. With a full menu of options available, we offer services for all your moving needs. Whether you’re moving into a new home down the street or afar, our team of professional movers can help! Save time, money, and prevent on-the-job injuries and property damages with our professional office movers. We are is the only local moving company that provides affordable packing and moving services to and from the Oregon Coast. We can save you time from packing and also unpacking because we are extremely organized. Your items are also completely covered under our insurance policy. We offer cost-effective and secure, small and large units for short-term or long-term storage in our Hillsboro warehouse. 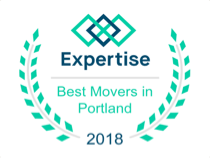 Whether you are moving a one bedroom apartment in Beaverton, Oregon or relocating a 7,500 square foot manor in Lake Oswego to the other side of the Willamette River, you can trust us to get the job done.